Growing up in Palestine is pretty hard. A Mid-East conflict zone, every day was a challenge, even life in my close-knit neighborhood was subject to conflicts and destruction. The landscape was constantly changing as homes and streets were destroyed. I always wondered, when I was young, what could make people stop killing each other. I realized as I grew up that the war machine is like a bubble, each side is separated from the other, and neither one is willing to acknowledge the other’s point of view. As a child, I thought the whole world was like my neighborhood. The first time I traveled, it opened my eyes to the world, and I saw things differently from when I was growing up. I felt cheated of normality. This is why I wanted to make a film that shows the damage that conflicts and wars cause on both sides that are involved. People in front of or behind the gun are damaged, and that is what I want to get across with this film. War and conflict can strip away humanity, and yet I believe that love and forgiveness are possible and worth fighting for. 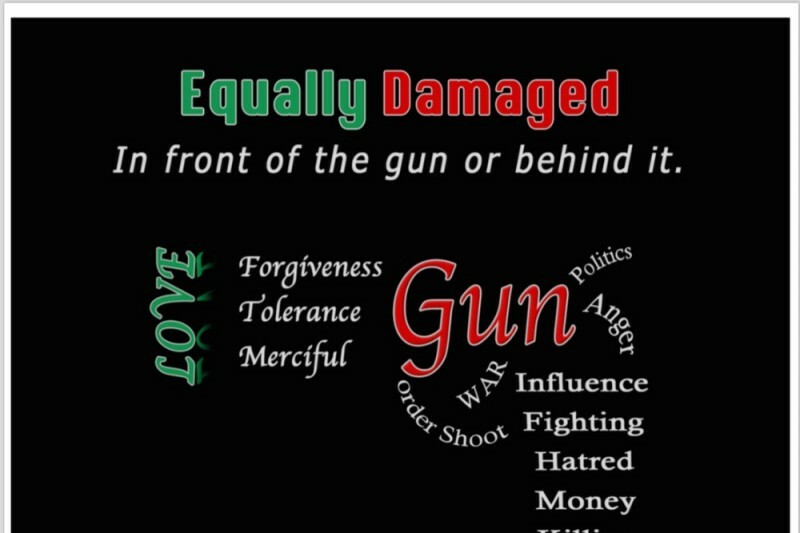 Please help me fund the production of Equally Damaged. I will submit it as my master’s thesis project at the New York Film Academy and will enter it in film festivals. The film is a short , it will run 15-30 minutes. With the resources of the New York Film Academy, I can make Equally Damaged for $10,500. “You are far more powerful than you have ever imagined. If you accept this knowledge and base your actions on it, you will be happier than ever before. This entry was posted in MRSCP and tagged Film, Nonviolence, Rafah, Siege, Violence by admin. Bookmark the permalink.